We Safety Managers preach a lot about accident prevention. Accident prevention is to protect lives, property, while limiting exposure to the company’s liability against the associated costs of accidents. Do you know what the associated costs are? To understand these costs, you must take into account there are two (2) types of costs: Direct and Indirect. 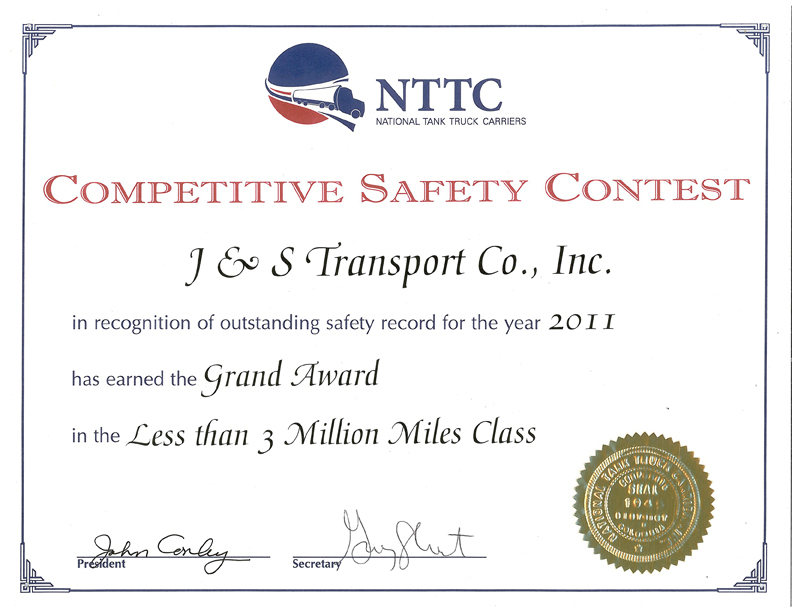 Direct Costs are those costs which have specific dollar values assigned: Cargo Damage, Medical Costs, Vehicle Damage, Loss of Revenue, Towing and Storage, Emergency Medical Transportation, Environmental Emergency Response and Remediation, Workers’ Compensation, Increased insurance premiums, Administrative Costs for filing accident reports and claims, Legal Representation and Court Fees, etc. Indirect Costs are those hidden costs that many employers don’t take into account when an accident occurs. These costs include: Poor Publicity, Loss of Sales, Replacement Vehicle Rental, Loss of Customers, Employee Lost Work Time, Cost to hire & train replacement employees, Management’s Time, Medical Costs not covered by Workers’ Compensation, Loss of depreciation of down equipment, Loss of Productivity, Overtime required to cover lost work days and the list goes on. 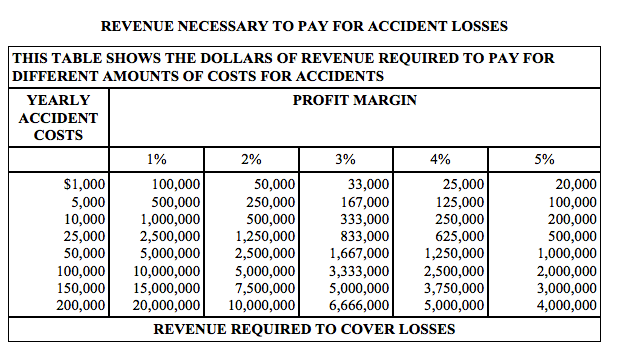 Just by looking at these numbers you can see the cost of accident prevention is far more economically feasible than the resulting costs when a commercial motor vehicle accident does occur. 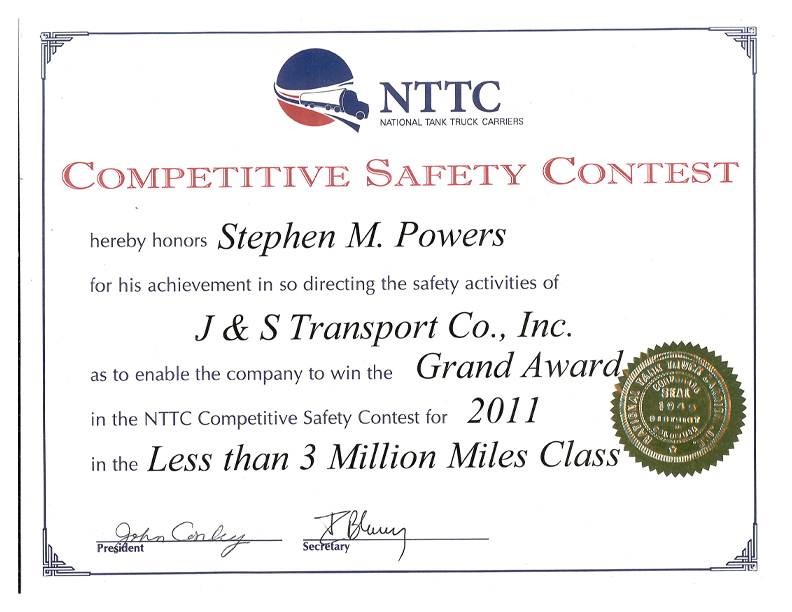 In today’s lawsuit happy society with Accident and Injury liability attorneys advertising on every television and radio station, we cannot tolerate “business as usual” when dealing with commercial motor vehicle accidents. The take-away here is to do everything you can not to be involved with an accident in the first place.